If you’re a strategy gamer, look no further. 23 years of practice makes perfect. 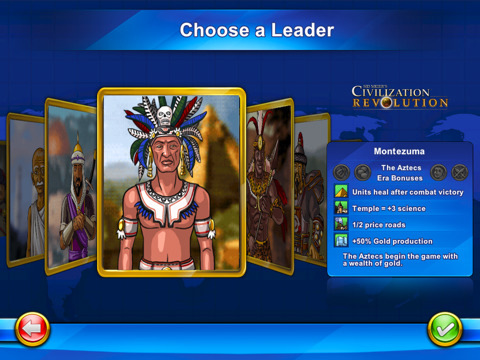 Civilization Revolution for iPad has come a very long way since Civilization started in 1991 by Sid Meier. Now you can enjoy CivRev in all its hand polished stunning glory on your iPad from 2K games. Get ready to build, discover, conquer, and rule your world. The iPad version features an exclusive World/Scenario Creator where you customize the world and game parameters to create hundreds of different scenarios and game types. At 1024×768 your world maps will be a solid improvement over the iPhone version. Plus as a result of the new 10″ screen size you’ll be able to view leader portraits, icons, and a broader view of the world map, so you can add value to your tactics and strategy during gaming. Guide your population via military, cultural, economic or scientific routes. Start with one of 16 Civilizations throughout history (including America, Spain, China, Japan and Germany) to lead to victory in high definition combat. 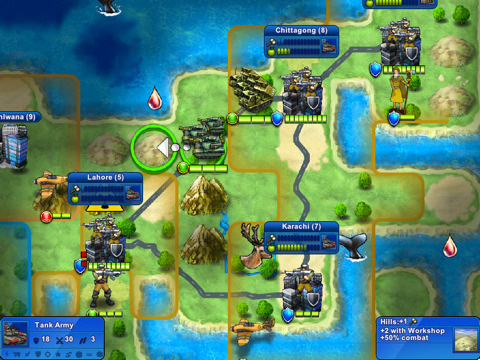 Grab a copy of Civilization Revolution for iPad and start strategizing. AppSafari review of Civilization Revolution for iPad was written by Joe Seifi on April 2nd, 2010 and categorized under App Store, Education, Fun, Games, RPG, Strategy. Page viewed 6184 times, 2 so far today. Need help on using these apps? Please read the Help Page. This app looks great! I’m a huge fan of Civilization and if I had an iPad I could totally me playing this often.